Annie Sloan transformed the world of furniture paint with the creation of her own brand of decorative paint, Chalk Paint®, in 1990. She’s all about sharing her passion for decorative painting and inspiring home painters and decorating professionals to be creative and adventurous with her paints and colours. Her products are available exclusively through her network of 1,700+ independent Stockists (Retailers) in 55 countries around the world. By leading the decorative painting revolution over the last three decades, Annie Sloan is widely recognised as one of the world’s most respected experts in paint and colour. Her book, The Complete Book of Decorative Paint Techniques, created a sensation in the world of decorating and is now considered to be the industry bible on the subject. 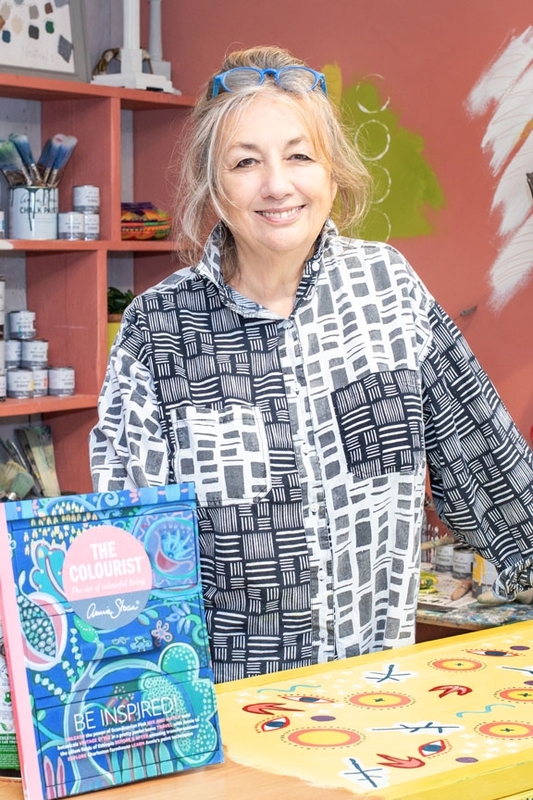 Annie Sloan is a proud supporter of small, independent businesses, and her products, including Chalk Paint®, are only available through her carefully chosen network of independent Stockists (Retailers) around the world.